Delta Tau Delta purchased 506 & 508 Rollins and knocked down this house to make way for a new one with a 506 address. We built this house (908 Curtis Ave) in 1963 and stayed there until 1976. 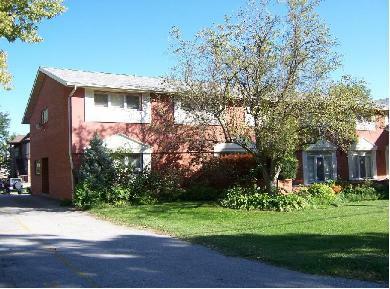 Pi Kappa Phi rented it from 1976-81 and then we took it back from 1981-93 when we re-colonized. Sigma Kappa bought it from us in 1993-ish after we left campus for the second time. Sigma Kappa remodeled and added columns. Sigma Kappa closed and PiKapp moved in on August 1, 2006 (they re-chartered). View of the front door after PiKapp moved back in. View from the left side. 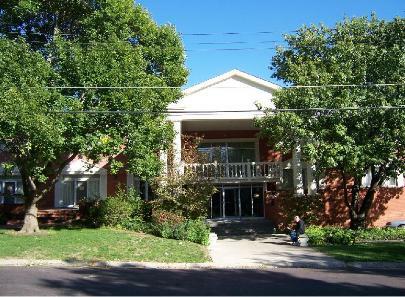 EA (Mizzou) did recolonize in the fall 1981, receiving back its charter in January 1982. The chapter did, however, stay on campus until the early'90s -- it didn't close in 88 as you state. I know it was still open in the 90-91 school year (I was an adviser to the house) and I think it didn't close until '92 or '93. I have some pictures of the 908 Curtis house from the 80's if you are interested. I'd love them! Please email to alphagamhouses@gmail.com. pics e-mailed! This is a great blog and I've shared it on Facebook with the EA Mizzou AGD groups. "Saw the blog with the pictures of the chapter house. I also posted a comment, but since posting have confirmed the dates. You are correct that the house was re-colonized in 1981 and we received the charter back in January 1982, but the EA chapter did NOT close in 1998. It closed at the end of the 92-93 school year – May 1993. I was a chapter adviser in the late 80’s/early 90’s. I do have a picture of the outside of the chapter house from 1983 – it is attached. 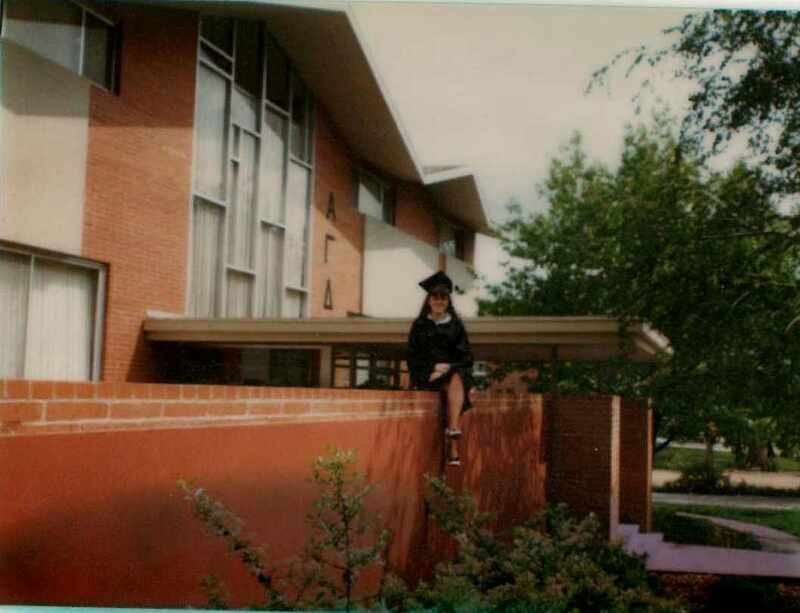 (I’m the dork in the cap and gown sitting on the wall)."